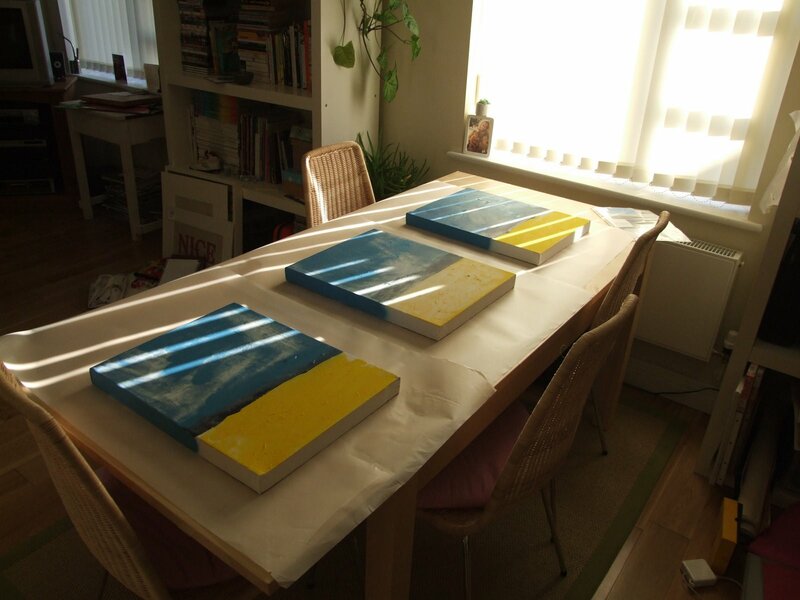 Working on this triptych for my Mum’s Christmas pressie. It’s your usual seascape – she lives in a place called Lilliput, by the sea in Poole. I haven’t properly painted in ages! It feels strange, but good.